A selfie gathering stars of Hollywood during the ceremony of Oscars on Sunday took a global dimension, shared more than a million times on the social network Twitter. 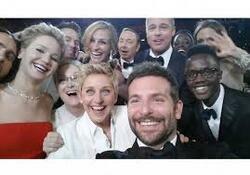 On this selfie , we can recognize Brad Pitt , Angelina Joly , Meryl Streep , Jennifer Lawrence , Bradley Cooper or Kevin Spacey realized on Sunday evening in Hollywood . This picture took immediatly a global flight . The tweet the most shared by the history of Twitter, with two million retweets in a few hours . Surpassing that of the re-election of the president of Barak Obama .